The Preserving Our Architectural Treasures initiative seeks to raise vital support to preserve and restore the Cathedral of Learning. For 70 years, the Cathedral has symbolized the pursuit of higher learning and the achievements possible through education, research and public service. This renovation project, which began on February 28, 2007, will help ensure that the Cathedral of Learning remains a permanent source of inspiration for future generations. Carve out your place in the history of the Cathedral and Pitt. 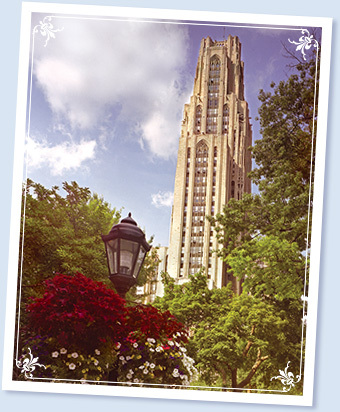 Make a donation to support the Cathedral of Learning preservation project.